Spinel is a magnesium aluminum oxide, occurring in many colors with excellent durability. Natural spinel is really a group of related minerals in which its magnesium is substituted with other elements, like iron, manganese and zinc. Spinel is found in areas that are famous for sapphire deposits. For many centuries, most gem spinels were misidentified as sapphires or rubies because they have similar properties and occur in the same geological environments. The two-inch faceted ruby in the center of the British Imperial Crown was only recently identified as a spinel! Like diamond and fluorite, spinel crystals can form perfect octahedrons. Occasionally, spinels can contain fine oriented needles producing star stones when cut en cabochon. Synthetic spinels have been available since 1920. The process to make them synthetically was discovered by accident when chemists were attempting to create better synthetic sapphires. Synthetic spinels can be made in several different colors, but the most common use of synthetic spinel today is to imitate aquamarine in birthstone jewelry. The earliest red spinels, used as jewels were found in Buddhist tombs in Kabul in Afghanistan and date back to approximately 100 B.C. Red spinels were also frequently used by the ancient Romans as early as the first century B.C. The Romans brought examples of blue and green spinel into England, during their occupation, which date back to 51 B.C. The actual mining of spinel began in Afghanistan between 750 and 950 A.D., documented by Marco Polo. Red spinels have always been favored and have the most dramatic history. In Moscow, a 412.25 carat dark red spinel is the centerpiece for the Great Imperial Crown commissioned for the coronation of Catherine the Great. 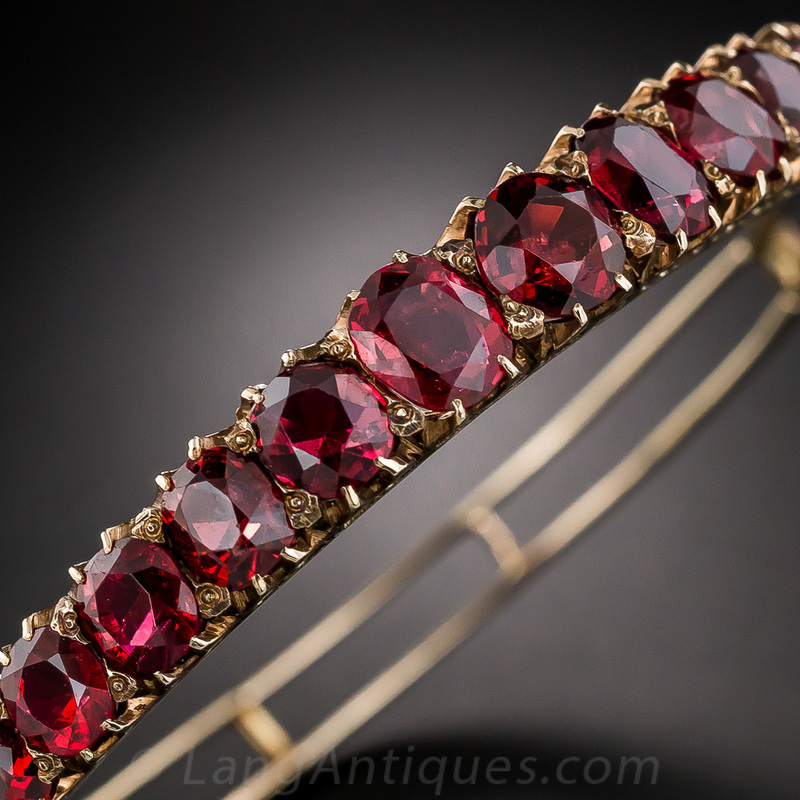 Red spinels were used frequently in the Renaissance and became quite fashionable in the 18th Century. The largest collection of spinels, which includes a 500-carat gem, is part of the collection of the Royal Crown Jewels of Iran. Spinel possesses the energy of beauty! It has been used to improve one's physical appearance and also to enhance the positive aspects of one's personality. Spinel has been referred to as "the stone of immortality" fostering rejuvenation and bringing freshness to all endeavors. Since it occurs in so many different colors, spinels have long been used to enhance the various chakras associated with their color. Similar Stones: Spinels can be confused with ruby, sapphire, pyrope garnet, amethyst and zircon. Synthetic spinel is inexpensively manufactured in large quantities and is used to imitate ruby, sapphire, emerald, aquamarine, peridot, alexandrite and diamond.